(VOVworld) - Individuals and organizations across Vietnam are helping people in the central region recover from recent floods. On Wednesday, a delegation led by National Assembly Chairwoman Nguyen Thi Kim Ngan visited Huong Khe and Vu Quang district, the two most severely flooded districts in Ha Tinh province. 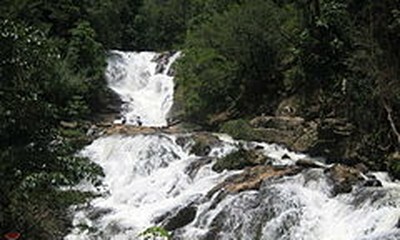 Local authorities in Huong Khe district are focusing on receiving and delivering food, drinking water, and essential medicines, repairing schools and power lines, and restoring communications, traffic, and security. Army personnel are helping locals repair roads and houses. 54,000 USD has been raised from many individuals and organizations across the country by the Central Committee of the Vietnam Fatherland Front. 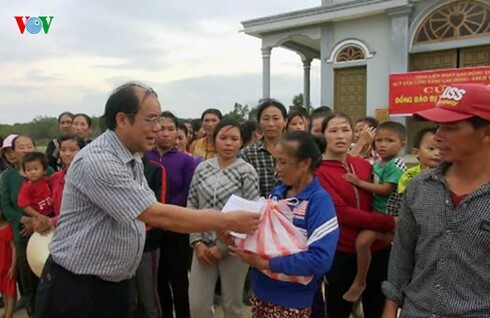 On Tuesday, a delegation of the Vietnam General Confederation of Labor (VGCL) gave families affected by flooding in Quang Binh province 1,000 gifts, each worth nearly 23 USD. Deputy Chairman of the Confederation Nguyen Van Ngang said: "VGCL’s Golden Heart Foundation has called on individuals and organizations nationwide to help locals in the central region cope with this difficult time. Hopefully, the support of sectors and ministries at all levels will help people recover from disasters." The Ho Chi Minh Communist Youth Union in Hanoi donated gifts and cash worth more than 22,000 USD and carried out volunteer activities to help people in the central region. Tran Anh Tuan, Permanent Deputy Secretary of the Hanoi Youth Union, said: "We will give people in Quang Binh and Ha Tinh province money and essential goods. We also are collecting medicine to help them fight off illness during the rainy season." Other activities to help people affected by the flooding have been carried out by the Central Commission for Mass Mobilization, the Health Ministry, the Party Central Committee’s Commission Communications and Education, and Radio the Voice of Vietnam.